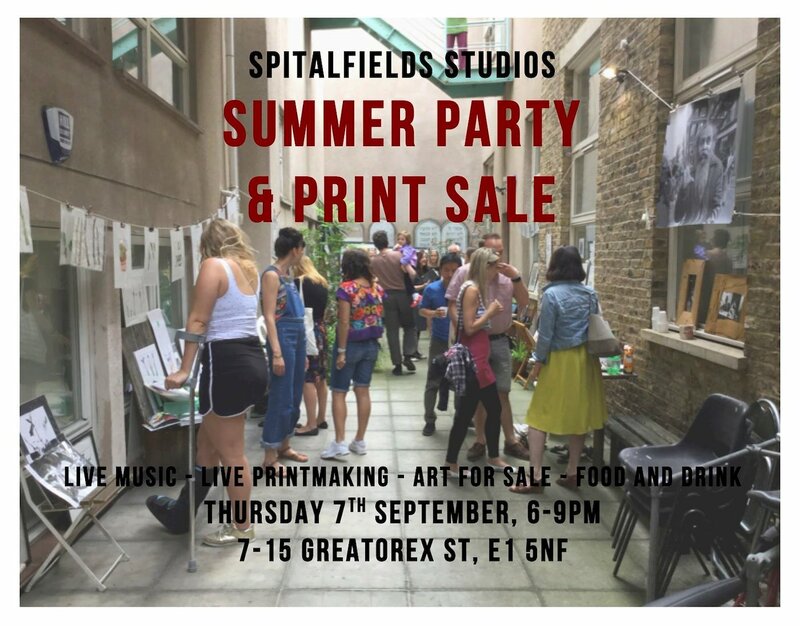 My studio is having a Summer Party and Print Sale on Thursday the 7th of September! Come along to our studio courtyard for food, drink, fun, sun, live music, and art for sale by local artists and makers. Our artists will be selling original prints, drawings, illustrations and hand-made jewellery at studio prices. There will also be live music and live print-making demos! This FREE event is part of Whitechapel Gallery’s First Thursdays.